Raleigh, N.C. – State lawmakers held a fifth phone briefing regarding now-Tropical Depression Florence on Sunday at 2:30 p.m. with Department of Transportation Secretary Jim Trogdon, State Health Director Dr. Elizabeth Tilson and representatives of the Emergency Management Division. Inland flooding is forcing emergency responders to develop alternative supply routes to impacted areas on the coast and in eastern North Carolina, including the possible use of ferries from Morehead City to resupply Wilmington with critical resources like fuel, legislators heard in the briefing. Lawmakers continue to communicate directly with the state Emergency Operations Center to advocate for the needs of their constituents through dedicated email addresses to emergency response officials. Emergency officials continue preparing for Florence to expand to a statewide event and have staged rescue and utility teams in western portions of North Carolina in anticipation of the storm’s torrential rainfall reaching the mountain regions. 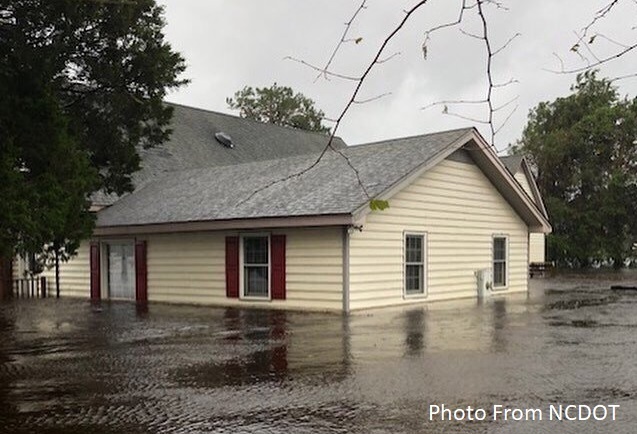 Commodities, utility workers and emergency response officials were able to push ahead into eastern parts of North Carolina overnight and this morning but access routes and road flooding continue to fluctuate as inland flooding worsens. They are having concerns of diesel fuel and water and commodity shortages for those rescue personnel but they’re actively working on that, especially into New Hanover County. 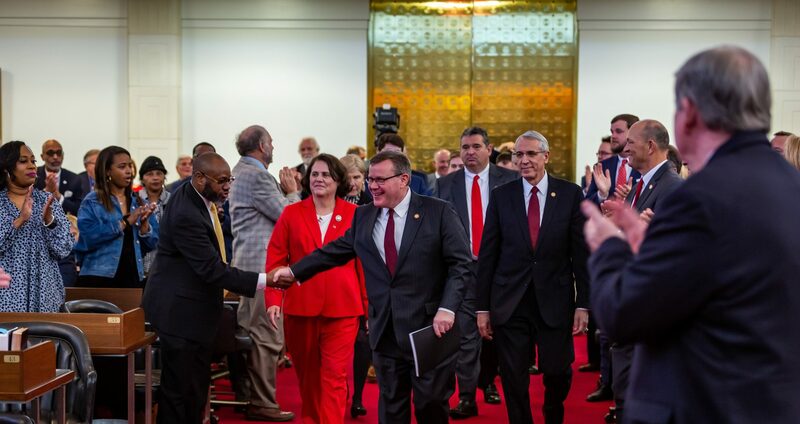 Secretary Jim Trogdon of the state Department of Transportation told lawmakers that parts of I-95 and I-40 in eastern part of the state were already overcome with inland flooding which complicated travel to and from the Wilmington area. Hundreds of other primary and secondary roads are also closed. Officials don’t recommend anyone going back to any location that’s south of U.S. 64 and east of I-73. So everything in the Greensville, New Bern, Wilmington, Morehead City, all of those locations, Lumberton, and then extending west in the coming days where we’re going to see more flooding even in Richmond County, along the U.S. 74 east from Richmond County over to Wilmington, all of that is really too hazardous to travel at this time. They recommend waiting at least until Tuesday or Wednesday and then reevaluate and see what those routes look like at that time before returning to these regions of North Carolina. NCDOT may use ferries to move up to 24 tractor trailers of supplies per day to the Wilmington area from Morehead City if they cannot regain access for supply lines on I-40 or other alternate roads. They’re planning other access routes into New Hanover County to circumvent the flooding if necessary, including the ferry system. Diverting all out-of-state traffic on I-95 around North Carolina was very helpful, and now they’re detouring some drivers down towards the Raleigh, Charlotte and Hickory road systems as well as longer detours completely around the state. Representatives of the state Emergency Management Division told lawmakers the operational priority remains shelter and medical personnel as well as forward rescues through swift-water boat and aviation rescue teams. They continue to work with FEMA for disaster declarations for impacted counties in addition to the eight counties granted yesterday to open up federal relief for the regions hardest hit. State Health Director Dr. Elizabeth Tilson said a number of healthcare facilities were on generator power and were being monitored closely for the possibility of evacuation needs and corresponding access routes. The primary public health announcements communicated to the public continue to be avoiding walking or driving into standing water, to turn around and don’t drown. The importance of not using gas-emitting generators or vehicles indoors to supplant the loss of power was also a priority public information message from state healthcare officials. The state continues to operate medical centers in Clayton, High Point, and Goldsboro, with a new center now staged in Charlotte that has lots of availability. Statewide these medical centers have a capacity of about 40,000 individuals and currently have about 15,000 occupants so there is availability of that resource. 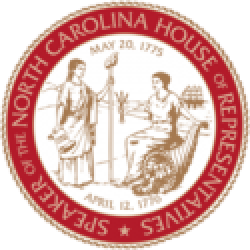 Details of legislator briefings on Tropical Storm Florence were also released to the public on Monday, Wednesday, Friday and Saturday of this week by the office of state House Speaker Tim Moore (R-Cleveland). For questions regarding Hurricane Florence, please call 211 or 888-892-1162, and use 911 only in case of emergencies. Text “Florence” to 898211 for assistance. If you haven’t downloaded the ReadyNC mobile app, do so by clicking here. For the latest updates on the storm, visit hurricanes.gov. To follow updates from FEMA on Florence, please visit their website here. For additional resources, visit readync.org or ready.gov. Recursos en español. If possible, cover all of your home’s windows. Permanent storm shutters offer the best protection for windows. A second option is to board up windows with 5/8” exterior grade or marine plywood, cut to fit and ready to install. Be prepared to lose power for several days. Charge electronic devices, spare external cell phone batteries, turn refrigerators to their lowest setting and only open when necessary.